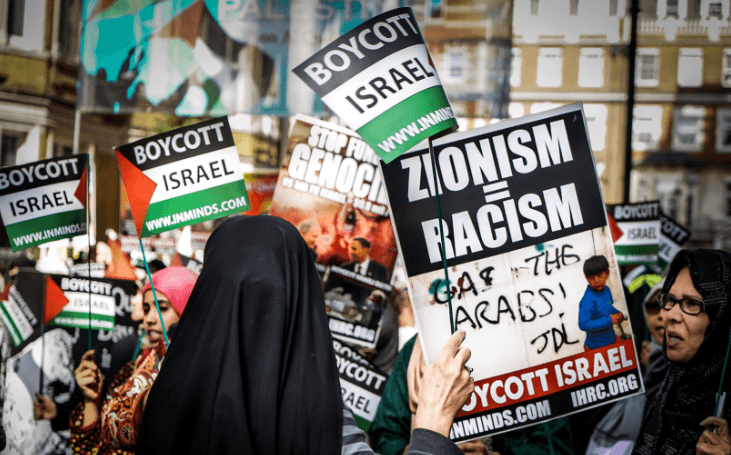 This open letter is written in response to a letter writing campaign from the ‘North London Friends of Israel’ and ‘We Believe in Israel’, demonising the annual Al Quds Day demonstration, and calling for action to be taken against it. As you are no doubt aware, this is an annual event to campaign for the rights of Palestinians, which has run as a peaceful family friendly event in London for a number of years now. The procession is always a diverse inclusive group, made up of Muslims, Jews, Christians, people of various faiths and none, from a wide range of ethnicities and walks of life. One of the key arguments made in the template letter is that Hizbullah flags have been carried at this demonstration and that this is both a criminal offence and representative of antisemitism. Both of these claims are baseless. The party’s political wing is not proscribed under British law, and as such holding these flags is not considered unlawful. This interpretation has been repeatedly confirmed by the Crown Prosecution Service, and the Metropolitan Police, including Patricia Gallan, the Assistant Commissioner. To some demonstrators, the flag represents resistance to Israeli aggression, including opposition to war crimes committed in the 2006 invasion of Lebanon. Last year, a number of Orthodox rabbis carried these flags in solidarity. We believe removing, or restricting the right to protest and challenge injustice in the world is damaging to society, and in fact downright dangerous. There are clear, grave consequences of silencing the voices of the oppressed and their advocates. It should be noted this demonstration does not exist in a vacuum; the nature of Israeli oppression of Palestinians, including war crimes, has been well documented by the UN and the international community, outraging a wide range of people. We therefore ask you to ignore the slurs from the pro-Israel lobby and protect the legitimate rights of demonstrators against Israeli war crimes. Such rights reinforce London’s reputation as a city whose population stands in defence of the oppressed.